With the advent of Social Media, the public has moved from being menial content consumers to holding a strong role as content creators. Bloggers are making an impact in the world, Tweeps decide the very fate of a marketing campaign and Facebook “Superstars” play a major role in spreading news like wildfire. And not to mention YouTube Directors who rival their Bollywood counterparts. The concept of Citizen Journalism has existed for quite sometime. But, with Social Media gaining momentum and technology easing out newer platforms to help content creators, Citizen Journalism too, has see tremendous growth. Kerala has been seeing the entrepreneurship bandwagon go long and high over the past couple of years. With setup of Incubation Centres like Startup Village and support in setting up of other similar structures in Universities and Colleges, the hype related to Entrepreneurship is at an all time high. Hence, it was clearly expected that the recent Kerala Budget 2015-16 would definitely include clauses focusing on the promotion of entrepreneurship. And as the Budget Presentation was full of drama, the budget itself didn’t disappoint in terms of being dramatic. There was a saying once in Kerala – You throw a stone and 90% of the time it’ll hit an engineer. Fast forward to today and you hear a modified version of the same – You throw a stone and 90% of the time it’ll hit a startup entrepreneur. Kerala has seen a huge boost in the number of startups being formed and the number of entrepreneurs taking reins of their self-made career. 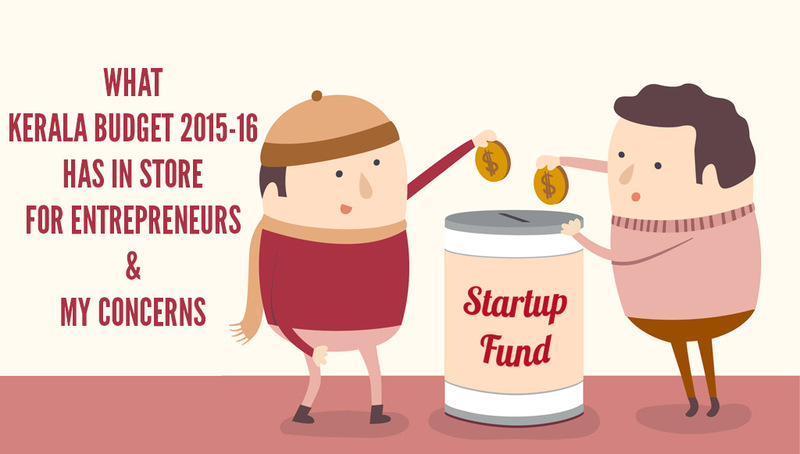 While it is definitely a positive sign, the increased frequency of students turning to entrepreneurs is alarming. So much so that, the extra sweetness is rotting the teeth. 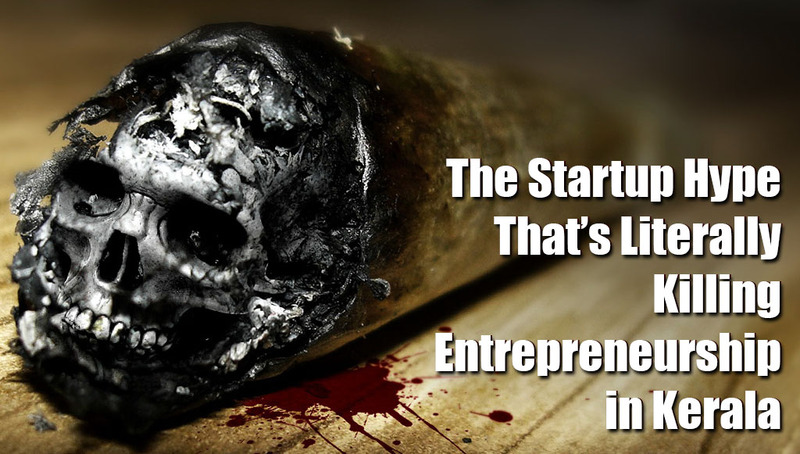 When me and most of my entrepreneur friends started off with our respective startups, entrepreneurship was seen as voodoo and a career choice for people who “couldn’t secure another job”. Not to blow our own horn, but it did require balls of steel and nerves of iron to go ahead with the decision. While some of us were written off as failures by the extended family, some others like myself were thrown out of home for “being a rebel“. And even few others had to break-up with their girlfriends because they didn’t have a “secure future”. Over the past few years, questions have been asked about the penetration of Internet in the Indian population (which as of now is around 13%), awareness about internet and its development, user’s perception on necessity of Internet as a medium and understanding the value it adds to their life. While generation gap, as a statistic, plays a good role in highlighting the difference between the age group that is internet literate and the age group that is not, its not just age that plays the defining role. Status of living, availability of internet connectivity, financial dependency, exposure towards “wordly” happenings etc, also mould the answers to the question of internet awareness. With Social Media Day being celebrated all over the world on 30 June, Kochi decided not to lag back on the celebrations. And it was held in grand style too! WinningWayz, a Digital Marketing Startup took the initiative to conduct #SMDayKochi this year. I too was invited as an Agency Participant. The moment I reached there, loved the venue – Open Air Auditorium. Decided to live blog the event, especially since I heard lot many people who wanted to attend, couldn’t.